Ahmedabad is the largest city in the state of Gujrat. With a large population, it has got a good number of vehicles as well. In order to manage the transport, some regulation is required. With the provision of Motor Vehicle Act, 1988 Ahmedabad RTO has been established. It has been established to perform a number of tasks. Ahmedabad RTO is formed to perform various important functions. All of them has been elaborated below. 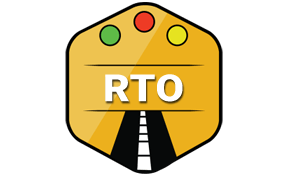 Ahmedabad RTO is authorized to issue all kinds of licenses like learning license, driving license, license renewal etc. Motor Vehicle Act of 1988 has documented some traffic rules and regulations. Ahmedabad RTO is responsible to implement the same. As per the Motor Vehicle Taxation Act of 1963, all vehicles need to pay Tax. Ahmedabad RTO levies tax as per the available slab. The Criteria of the slab is different for different kinds of vehicles. It may change periodically. Every new Vehicle in Ahmedabad needs to be registered. Upon registration of vehicle, the owner gets registration copy called as RC. This document is mandatory for all the people who possess two-wheelers, four-wheelers or any other vehicle. In order to get the registration copy, there's a process that needs to be followed. Most Importantly we need to submit the required documents. Any vehicle that gets shifted from another state to Ahmedabad needs to have NOC. It is mandatory if the vehicle is running beyond 3 months duration in Ahmedabad. Ahmedabad RTO conducts all the tests for the people applying for the driving license. The Regional Transport Office (RTO), Subhash Bridge, Sabarmati, Ahmedabad, Gujrat - 380027.